Inn Tirol is conveniently located at Urochyshe Polyanky 281 in Svalyava only in 7.5 km from the centre. The most proximate Satu Mare International Airport is disposed in 98.9 km from the inn. 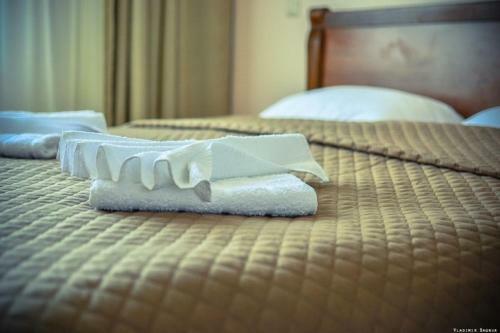 Guests can take advantage of a whole range of amenities: breakfast served to room, car lot, seasonal fishing, convenient airport transfer, high-quality Wi-Fi is available throughout, event venues for conferences, cozy restaurant, jungle gym, comfortable non-smoking rooms. This studio features a balcony and a kitchenette. Children and Extra Bed Policy All children are welcome. All children under 6 years stay free of charge when using existing beds. All further older children or adults are charged UAH 150 per night for extra beds. The maximum number of extra beds in a room is 1. Very high standard apartments, very clean and big. Easy to find. Swimming pool. Nature around is beautiful. They answered e-mails pre-arrival. Dinner was delicious. Room is big but uncomfortable, in shower it is impossible to wash a kid because of shower type. Also early in the morning was impossible to configure warm water it was too hot or too cold.